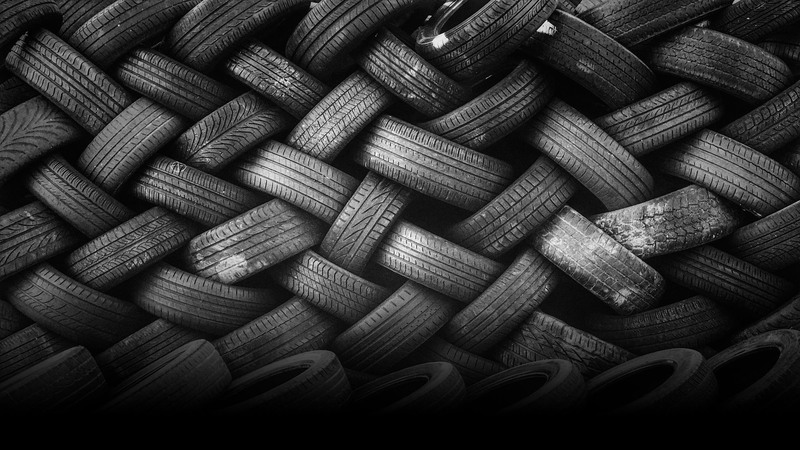 One scrap car tire weighs 20 to 22 1bs (9 – 10 kg). We use 20 pounds for data calculations. One scrap truck tire weighs 80 to 100 lbs (36 -45 kg). We use 100 pounds for data calculations. On an average 1/3 of the weight of a tire is steel, 2/3 of the weight is rubber. INCORRECT REPORTED EPA DATA – 10 whole car tires in a cubic yard of space.. INCORRECT REPORTED EPA DATA – 3 whole truck tires in a cubic yard of space. OUR DATA – 2 whole truck tires in a cubic yard of space. INCORRECT REPORTED EPA DATA – 33 shredded car tires ( single pass 2.5 to 3 inch cut ) in a cubic yard of space. OUR DATA – 15 TO 17 shredded car tires ( single pass 2.5 to 3 inch cut ) in a cubic yard of space. INCORRECT REPORTED EPA DATA – 7 shredded truck tires (single pass 2.5 to 3 inch cut ) in a cubic yard of space. OUR DATA – 5 shredded truck tires ( single pass 2.5 to 3 inch cut ) in a cubic yard of space. INCORRECT REPORTED EPA DATA – 47 shredded car tires (2″ fuel chip) in a cubic yard of space. OUR DATA – 30 TO 35 shredded car tires ( 2″ fuel chip ) in a cubic yard of space. OUR DATA – 22 TO 24 POUNDS PER CUBIC FOOT. and did you know that. Wire free landscape granules 1/2″ in size weight about 26 pounds per cubic foot. We actually take the time to weigh bags of material in a specific box to determine density. Crumb rubber of almost any size ( 10 to 40 mesh ) does often weight less than granules, with an average weight of about 20 to 24 pounds per cubic foot. We call this the popcorn effect. A standard 80 and 96 cubic foot supersack, full of crumb rubber from tires weighs about 1,600 and 2,000 pounds per supersack. But most in the industry use 2000 pounds as an average weight of a full supersack of crumb. and, TDF has an equal energy value if compared to high grade coal. The epa HAS also stated that using Tire Derived Fuel that there is little or no adverse effect on air emissions (as compared to coal). A broad statement, but one made to help promote the use of TDF for fuel by the Government. Ask why china bans the export of tire rubber to china. Ask us why we know so much. and others like the epa don’t. Get the right information and the right data from shredderhotline.com and globalrecyclingequipment.com from Dan Burda and Ian Weston. Ask us why we were the first family to invent tire shredders.